Download Setup file setup_5dchart.exe from the download page. You don’t need to install prerequisites manually. 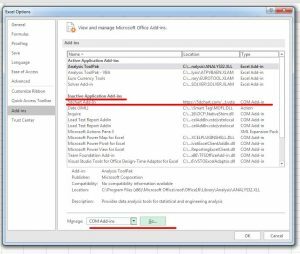 Just run setup_5dchart.exe to check and install .NET Framework and Visual Studio 2010 Tools for Office Runtime automatically if needed. Use the troubleshooting page to fix some issues that may occur. 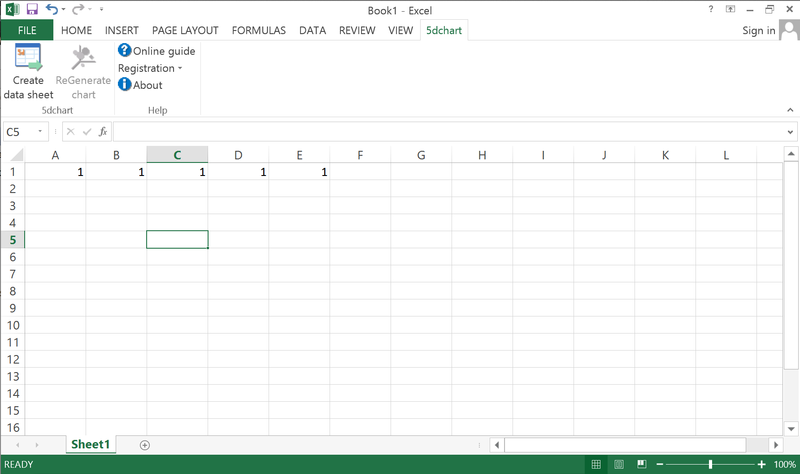 Start Microsoft Office Excel and make sure that 5dchart Add-In is successfully installed. 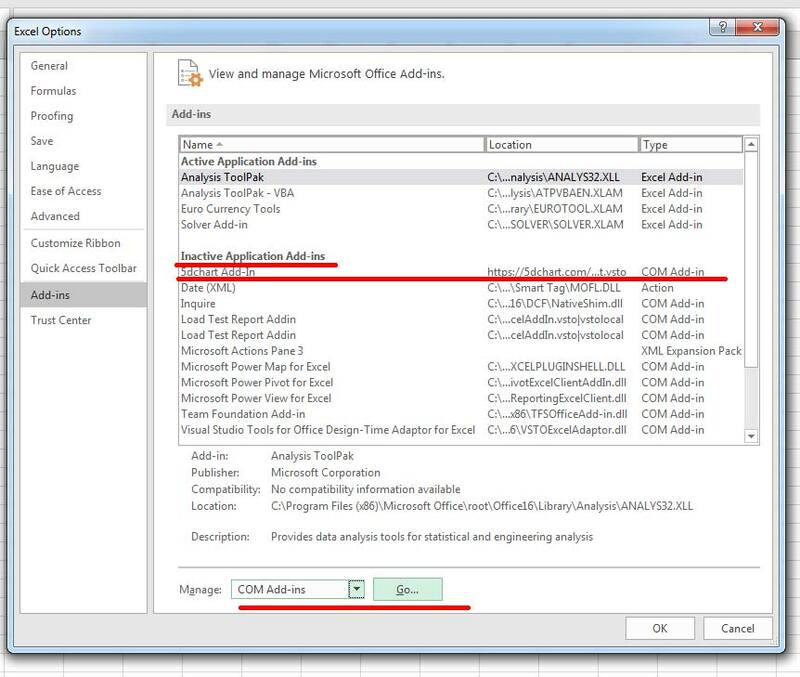 If 5dchart menu tab does not appear in MS Excel, you should open File -> Options -> Add-ins, then select “COM Add-ins” and click “Go…”. Then switch 5dchart Add-In checkbox on and press “OK”. Open “Add or remove programs” from the Control panel.